enough has been said about the british team's dismal performance at the 2013 world road race championships in tuscany, some of it on twitter, but definitively by gb coach, rod ellingworth. however, those of us who turned on the tv around the time froome and friends were turning off, were encouraged in a slightly different way, particularly if you're scottish. 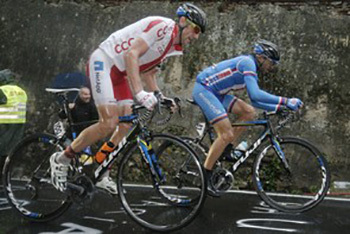 for at that point on the rain-soaked circuit, the two leaders by a considerable margin were poland's bartosz huzarski and czechoslovakian jan barta, both of whom in normal life, ride for the netapp endura team. it may not have been possible to view a team gb jersey anywhere near the front, but that endura logo on both riders' shorts was of some consolation. in fact, that was at least one consideration for both riders as attested to by huzarski "my goal was to get the logos of netapp and endura well represented..."
after 240 kilometres in the break, the hapless huzarski was caught with 1.5 laps to go, but as they say, that's bike racing. however, both riders' performances were merely the latest increase in the profile of a cycle clothing company that has its home in an industrial estate in livingston, scotland, a mere stone's throw from edinburgh. 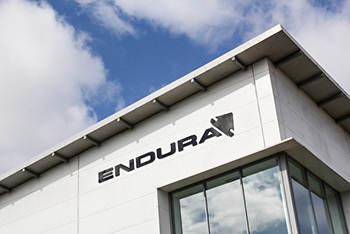 endura was founded in the early nineties by jim mcfarlane, initially with the intent of making helmets (an ambition fully realised earlier this year), but fortuitously easing into the manufacture of cycle apparel instead. jim's velocipedinal clothing aspirations coincided with the upsurge of interest in mountain biking in the uk, so until early this century, the name endura was more readily associated with the offroad fraternity, though not just in scotland. with the change in emphasis to bendy bars and skinny wheels, the company was astute enough to sponsor a uk-based road racing team to help develop a range of clothing that would compete with, and in many cases surpass that of its competitors. the success of this project was effectively demonstrated by the two pairs of international shorts on display at the front of sunday's professional road race. 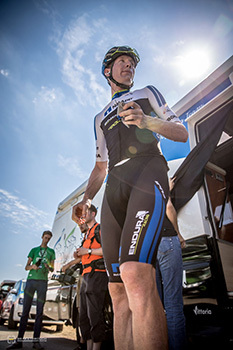 riding in 2012 as a uci continental team, mcfarlane had enough confidence in his investment to move up to pro-continental level for 2013 by merging with germany's netapp team. their season has, by all accounts, been an unqualified success, particularly in not only having received an invitation to ride last month's vuelta espana, but having leopold koenig win a mountain stage and finish in the top ten. logically, and bearing in mind the progress of a small piece of scotland through the uci rankings, the next step would be to take the big step up to world-tour status. financially that's a big ask, one that might conceivably cost a lot more than the business it generates. however, there are ways round that, and after at least a couple of years' thoughts and discussions, endura were happy to announce that for the 2014 season, they would be supplying clothing (but not helmets) to spain's movistar team. i asked endura's ceo, jim mcfarlane who approached who? "We approached Movistar. We wanted to do the clothing ourselves in order to fully engage, learn from the process and position ourselvesÊto fully exploit and develop any design gems that we unearthed along the way. In other words, to do it properly. It was never of interest to badge engineer someone else's production and end up with something that was confined to being a marketing tool without the design knowledge benefit that is achieved from doing the work directly in-house. It simply doesn't feel authentic to take that path and wouldn't fit with our brand or ethos. "Sky were the obvious team to approach as the only UK licensed World Tour Team, but (at the time) we didn't feel we were in a comfortable position in terms of our resources and abilities to deliver significant clothing improvements at World Tour level until early 2012. By this time Sky had already committed to a four year deal elsewhere, so we had discussions with a few of the other top ten ranked World Tour Teams. Ê "Movistar were a stand out option given their overall quality and consistency of performance over many years, the fact that their kit is uncluttered with multiple sponsors and Spain is our second largest market in Europe after Germany. So it made sense commercially too, and fits well with having Team NetApp-Endura as a an Anglo-German team. The biggest single consideration though, was it quickly becoming clear that the people we deal with at Movistar were really good people. We thought we could work with them both effectively and enjoyably. "We showed them some examples of what we were working on and shared our ideas of potential clothing improvements; they were immediately interested." the difference, as in many cases, comes down to one of semantics, logistics and practicalities. several component and clothing manufacturers prefer to highlight their situation as being that of a partnership, making it seem more of an equitable agreement between two consenting parties than straightforward sponsorship. in the case of endura and movistar, which of the two would be more accurate, and not to put too fine a point on it, what's the difference? "Well it's both. It is a sponsorship, as we pay to be a sponsor and we make and provide the clothing to the team riders. But we both chose to include the term 'partnership' in the press-release announcing the engagement because that is genuinely the spirit of how both Movistar and Endura are entering into this thing. "We are working hard and spending a lot of extra money on developments for the Movistar Team that are not required within the contract, because we are on a mission to deliver the absolute best clothing of any World Tour team. And in aspects that can be proven through numbers, such asÊaerodynamics for example, to demonstrate that we are the best there is. "We want to help them win the Tour; that's our job, or at least part of it. And they are really flexible in providing the support to help us deliver that. So it is not the case of a classic sponsorship arrangement where a cheque is signed, hands are shaken, a picture taken and then it all happens again a year later. "Movistar have been with their current bike sponsor for 25 years and with their current clothing sponsor for 30 years, so they don't change things around lightly. They enter into the spirit of long-term partnerships and that's what we are looking for as well." however, for the average weekend rider, reading the platitudes of team riders extolling the virtues of product z mere months after having been advertised as exclusively using product y, begins to wear a bit thin, despite being perfectly aware of how the sponsorship game plays out. and in view of movistar's demonstrable commitment to date, is this intended as a one-year arrangement or for a longer period of time? "Three years initially, but hopefully for much longer." as mentioned previously, though endura had an enviable reputation for the quality of their kit, until several years ago, this had been firmly in the land of the knobbly tyre. entry into the world of road-racing via their very own team made a considerable difference to the cycling apparel on offer. quite frankly, it was like night and day, the newborn equipe range as developed in conjunction with the team professionals offering a hitherto unseen side of scottish design and ingenuity for road riders at whatever level. 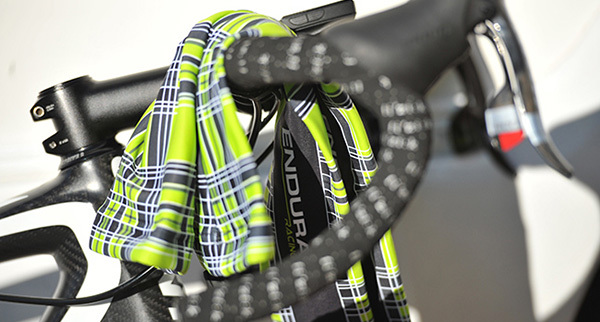 there is little doubt that the equipe range placed endura in a very comfortable position. is this the level of kit they will be supplying to movistar, or are there ongoing developments afoot in livingston? "We have been working on kit developments for almost two years for this specific project. It is all new." though i must embarrassingly admit to a surfeit of riches when it comes to cycling apparel, i cannot deny that it is of similar scope to those of lesser fortune. jerseys, shorts, baselayers, jackets etc. are just what most of us wear because, to be quite frank, that's mostly both the minimum and maximum required. a large percentage of us never have need or desire of pinning a number on those rear pockets, and though there is little wrong with a pleasant degree of finery and luxury, cutting edge performance is rarely in demand on the sunday ride. professional bike riders, however, are less easily satisfied; if you had to spend up to six hours per day in the saddle over a period of three weeks, all the while bearing in mind the competitive demands of the directeurs sportifs, you too might be a little more concerned with the performance of the fabric(s) keeping you warm, cold or temperate. are there, therefore, any items of apparel required by movistar that endura currently do not manufacture, such as aerodynamic skinsuits and the like? "The only two items that will not be made in Livingston for the team riders are gloves and socks, as these require very specific specialist factories. Everything else will be made by Endura in Livingston, including aero skinsuits. We have been working very hard in this area and more information will be released about that work later in 2014." barto and huzarski provided a particularly graphic reason as to why any clothing, component or bicycle manufacturer would spend their money on being a part of the upper echelons of professional bicycle racing. i have no idea what the world-wide viewing figures were for either the vuelta or the road-race championships, but i think it likely they would be considerable. with the endura logo almost on permanent show for well over 200 kilometres you can't help thinking jim mcfarlane received a decent return on investment. but if i might paraphrase john wanamaker "half the money i spend on advertising is wasted; the trouble is i don't know which half." as jim has already pointed out, his two largest markets are germany and spain, and a team registered in each country makes logical sense. but presumably the overall idea is to increase market share in countries other than those two; netapp endura's invitations to races such as the vuelta and paris-roubaix this year will have no doubt helped that situation, while the forthcoming partnership with movistar effectively grants them an audience throughout professional cycling's globalised influence. 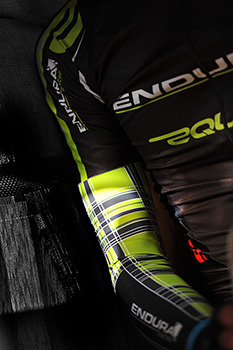 however, what does jim perceive as the main benefits to endura aside from the marketing angle? "That it draws us out and challenges us at the highest level. We have made real progress on related product developments over the past two years due to the prospect of the involvement alone. Some of these are already due to appear in Endura's other clothing from 2014. 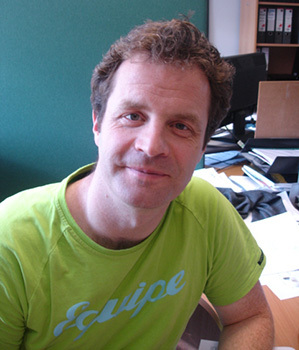 "It is great to have partners at this level who are exacting but also constructive and supportive. That on-going pressure that examines and criticises each development is healthy for us and a force for good for Endura in the longer term. It will help us avoid any complacency in product development." i know of many foreigners in both europe and north america who find themselves entranced by a scottish accent despite often struggling to understand the gist of what is being said. in a global sense it may be considered a benevolent situation to be scots, but that rarely lasts past the initial stages. if endura wish to survive and prosper in their two principal markets, the kilt will surely have to be augmented by a grasp of each national language. is jim currently taking evening classes in spanish, or given his predilection for jetting to the iberian peninsula with unabated frequency, is that brian smith's department? "Honestly, I am hoping to resume classes in November. I spent a couple of years on night classes for both German and Spanish in the past, but wouldn't say I am great at either! I can't speak for Brian, but there are certainly times that I haven't been able to understand what he is saying..."